This deliciously sweet and mildly tart raspberry limeade soda recipe is a twist on the classic cherry limeade. 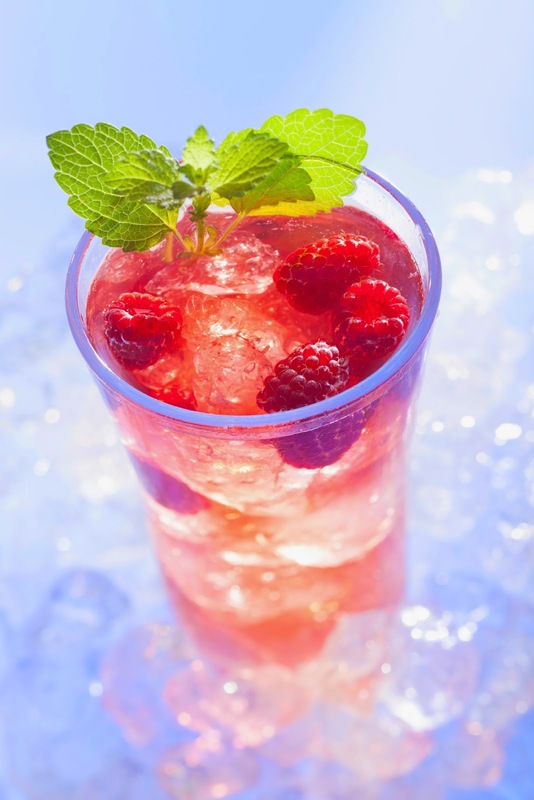 Did you enjoy making our raspberry limeade soda syrup recipe? Let us know in a comment or on social media! Today’s Sodastream Revolution Sparkling Water Maker review will cover what is by far the most feature-rich and easiest-to-use Sodastream model. It’s the only powered Sodastream and isn’t quite as portable as other models but makes up for this with feature richness and ease of use. If you’re looking for a model to take on the go, consider a base unit like the Fountain Jet, Play, Genesis, or Source. The Revolution has LED indicators that show you the fizz level of your soda and the CO2 canister’s usage status. Four buttons help you select from four preset carbonation levels: low, medium, high, and turbo. This contrasts with other Sodastream models that require the user to manually carbonate to the right level (some with indicators showing the current level, like the Source, and some without). Snap in the bottle using the easy snap-lock mechanism, and hit the desired carbonation level for automatic creation of the perfect carbonated water. The form factor is slightly larger than most models, and can accommodate either the standard 14.5 oz. CO2 tanks most Sodastream models use or a double-capacity 33 oz. tank for fewer tank changes. The only other models that can accommodate these are the Play, Dynamo, Fizz and Fountain Jet. The Revolution comes in two color schemes: one black with nickel plating and one almost entirely nickel plated. This design looks great as a permanent appliance in your kitchen, with the added benefit of increased durability. If you’re looking for a dead-simple Sodastream that will let you make the perfect soda water every time, consider the Sodastream Revolution. If you’re just getting started with Sodastream and aren’t sure if you want to spend the money on this unit just yet, we’d recommend the Sodastream Genesis, Source, or Play. 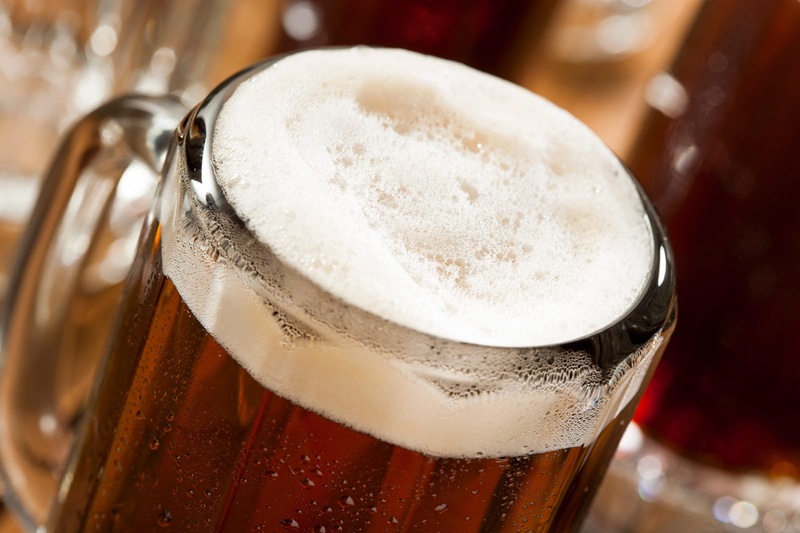 Can accommodate 14.5 or 33 oz. Sodastream CO2 tanks or our Sodamod 12oz and 24oz tanks. 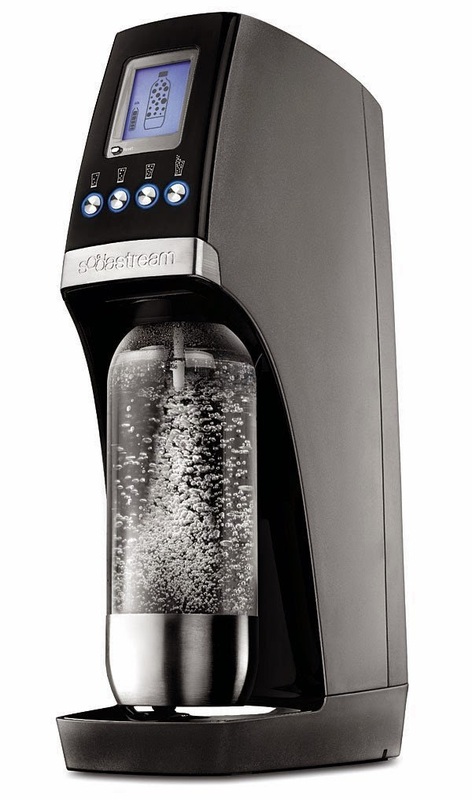 If you enjoyed our Sodastream Revolution review, let us know in the comments! 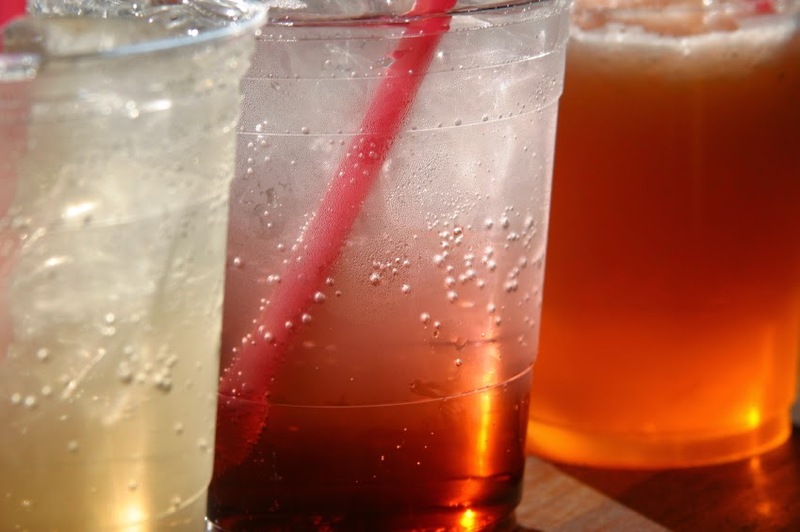 All Sodastreams offer advantages versus buying soda and soda water by the can or bottle. They’re more environmentally friendly, saving tons of plastic and aluminum from landfills (or saving the energy it takes to recycle them). You control what goes in the water (use filtered instead of tap water and choose or create your own flavors!) and the level of carbonation. And of course, we can’t forget the cost savings. While new Sodastream users are excited at the savings they’ll make, we can ensure those savings are much greater! The SodaMod Sodastream CO2 adapter lets you use medical-grade paintball tanks instead of Sodastream’s proprietary CO2 tanks, which you can inexpensively refill locally. Buy one today and start saving money the way you hoped! This delicious strawberries and cream soda syrup recipe combines strawberries, a dash of lemon juice, and vanilla to create a supremely delicious soda. Use whipping cream or half & half (optional) to make it a creamy Italian soda, for a true strawberries and cream soda experience. 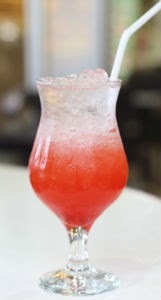 Did you enjoy our strawberries and cream soda recipe? We’d love to hear from you! This Italian cream soda syrup recipe can be used to make delicious Italian cream sodas, or you can omit the half and half & heavy whipping cream for a traditional cream soda. If you enjoyed our Italian cream soda recipe, we’d love to hear from you! 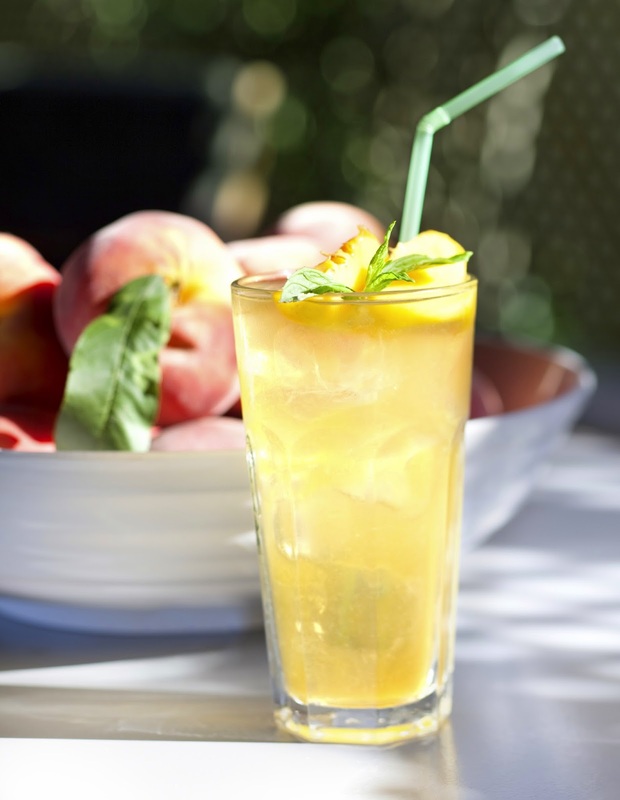 We got the idea for this delicious homemade peaches & cream soda recipe for Sodastreams from our love of cream soda and fresh peaches. Did you enjoy this recipe? We'd love to hear what you think! As with all SodaStreams, the Source has a several benefits over buying bottles or cans of soda. Today’s Sodastream Source soda maker review discusses the unique features of the Source vs. other SodaStream models, followed by a quick overview of how DIY soda beats store-bought. The Source prices in at $99, on the lower end of Sodastream pricing but slightly more expensive than the entry-level Fountain Jet, Play, or Genesis models. The Source and Source Metal are the only models other than the $200 Penguin with lifetime warranties. The latter feature is quite nice, with the nozzle snapping to an outward-pointing position to accept the bottle, then snapping back inward to keep the bottle secured in place. Instead of a push button, you press down the whole top-front block, which further secures the bottle. This effect is pretty cool. Combined with the LED lights and sleek form factor, it makes the Source one of the most aesthetically pleasing models, in our opinion. As with all models but the Revolution, the Source requires no electrical power. This means no cords and no worrying about outlet placement. This unit uses the smaller 14.5oz CO2 cylinders, vs. the 33oz. tanks some models can use. The tradeoff of this lesser capacity is a sleeker form. For those who like to keep multiple tanks on hand anyway, this isn’t likely to be an issue. Inserting the tanks is straightforward, though not as dead simple as some other models. They insert through the bottom, and a back panel removes to help get a grip on the tank to screw it in. While the form of the tank compartment makes getting the nozzle in line no problem, twisting the tank in from the back compartment can be somewhat awkward. 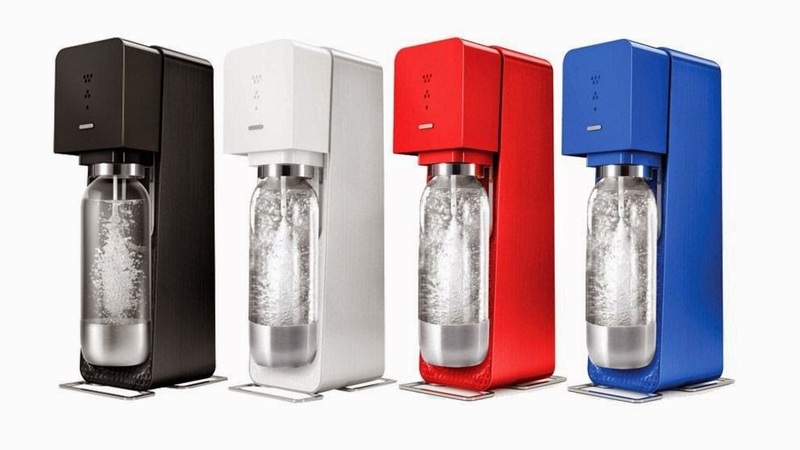 Like most Sodastream models, the Source uses 1 liter, BPA-free plastic bottles that are dishwasher safe. The Source is not compatible with Sodastream’s smaller, ½ liter bottles. We hope you enjoyed our Sodastream Source review! Let us know what you think in the comments and on our social media sites!